Boasts 22 Highway MPG and 15 City MPG! This Chevrolet Traverse delivers a Gas V6 3.6L/217 engine powering this Automatic transmission. TRANSMISSION, 6-SPEED AUTOMATIC (STD), TRAILERING EQUIPMENT includes (V08) heavy-duty cooling system and (VR2) trailer hitch, TRAILER HITCH, FACTORY INSTALLED. 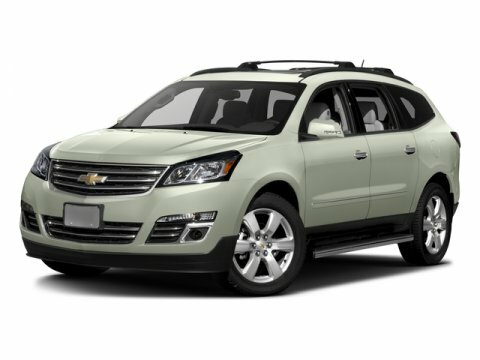 * This Chevrolet Traverse Features the Following Options *SUNROOF, DUAL SKYSCAPE 2-PANEL POWER with tilt-sliding front and fixed rear with sunscreen, SEATING, 7-PASSENGER (2-2-3 SEATING CONFIGURATION) with 2nd row flat-folding Captains Chair and third row 60/40 split flat folding bench seat (STD), RECLINING FRONT BUCKETS (STD), MOSAIC BLACK METALLIC, LTZ PREFERRED EQUIPMENT GROUP includes standard equipment, LPO, WHEEL LOCKS includes 4 locks and 1 key, LPO, ROOF RACK LONGITUDINAL C-CHANNELS AND CROSS RAILS, ENGINE, 3.6L SIDI V6 (288 hp [214.7 kW] @ 6300 rpm, 270 lb-ft of torque @ 3400 rpm [364.5 N-m] with dual exhaust) (STD), EBONY, SEAT TRIM, PERFORATED LEATHER-APPOINTED SEATS ON FIRST AND SECOND ROWS (Includes (KB6) heated and cooled driver and front passenger seats driver and (AH8) 8-way power passenger seat adjuster. ), COOLING SYSTEM, HEAVY-DUTY. * Visit Us Today *For a must-own Chevrolet Traverse come see us at Bleecker Buick GMC, 926 E 4Th Ave, Red Springs, NC 28377. Just minutes away!